"The big challenge we have to manage is how we manage population growth," he told reporters. "The cities deal ... is about investing in the cultural life of the city, in the arts precinct (and) recognising the tremendous living indigenous culture that is so alive and so celebrated here in South Australia." 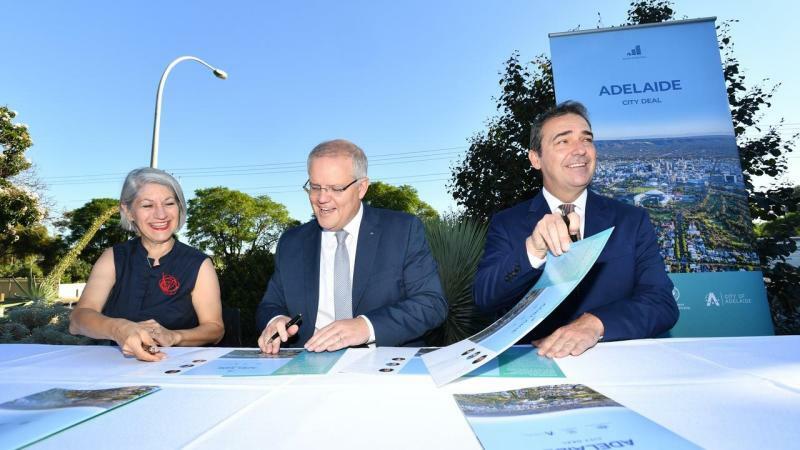 At the centre of the deal is the city's Lot Fourteen innovation precinct, which will host the headquarters of the Australian Space Agency and other cultural attractions, tech businesses and education facilities. While in Adelaide, Mr Morrison also announced two local intersections will be upgraded under the government's urban congestion fund package. "(The funding) will really create great economic activity, increase visitation, increase international students and, of course, bust some of the congestion on our roads," he said.